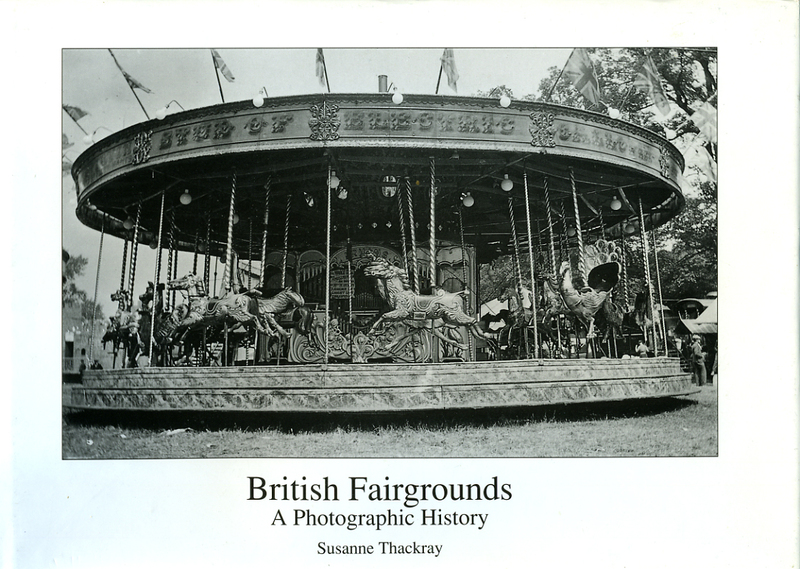 Very rare black-and-white photographic history of Great Britain's fairground heritage. 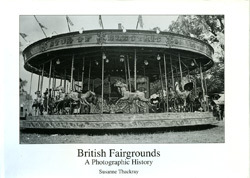 "A unique and comprehensive pictorial survey of Britain's fairground heritage from the late 1800s to the present day. All major facets of the fairground are represented: freak shows; menageries; ghost illusions; bioscopes; all manner of whirligigs and rides from early gallopers to today's sizzler twists; sideshows featuring anything and everything from boxing academies to shooting galleries and coin operated slot machines; organs; centre engines and purpose built showmen's engines. Truly an invaluable archive source, tracing the development of the fairground from its early pagan and religious beginnings through to its widely recognised success as a trading outlet for specific commodities and on to today's organised entertainment form. The way in which the fairground has always mirrored society at large is captured by well over 200 photographs. The result is an irresistible journey through an altogether mysterious and magical world." Condition: Fine in near fine dustjacket. Click the image above to see a close-up of the dustjacket's condition.